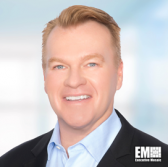 Cerner President Zane Burke has said the health information technology company hopes to retain its partnership with Leidos and Accenture for the delivery of a modernized electronic health record system to the Department of Veterans Affairs, Healthcare IT News reported Thursday. The team known as the “Leidos Partnership for Defense Health” won a potential $9 billion contract from the Defense Department in 2015 to implement the MHS Genesis EHR platform across the Military Health System. Cerner anticipates a new 10-year contract from VA to install a similar EHR system at the agency based on the company’s Millennium platform, the report said. VA Secretary David Shulkin has requested $782 million from Congress to start the department’s EHR modernization. The planned VA rollout will follow the deployment of MHS Genesis at four military care provider sites in the Pacific Northwest, which the report said enabled the DoD EHR modernization project to achieve initial operational capability. 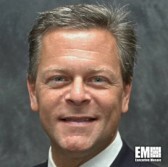 Jerry Hogge, senior vice president of Leidos’ defense health business, said the team working on MHS Genesis developed separate workflows, then aligned and modified those workflows over the two-year effort to match the healthcare delivery process of each military healthcare facility. Hogge added that the members of the Leidos Partnership for Defense Health also modified and aligned their commercial workflows and staff training practices to adapt to a military health setting.